The International Conference which had its theme as, “Industrializing Africa: Issues, Problems and Prospects” aimed at x-raying issues of industrialization globally in the interest of the emerging new world order. Declaring the Conference open, the Vice-Chancellor, Professor Joseph E. Ahaneku, FAS averred that the conference is germane to the economies of many African States, which are heavily dependent on the production and export of primary resources of agriculture and mineral resources. Professor Ahaneku who was represented by the Deputy Vice-Chancellor (Academic), Professor Charles Esimone FAS, expressed optimism that the Conference will yield recommendations that will help shape policy makers and practice on desirability of industrialization in Nigeria. In his address, the Chairman on the occasion, a former Minister of National Planning and former Chief Economic Adviser to former President Goodluck Jonathan, Professor Osita Ogbu, expressed optimism that the Conference will highlight new approaches on how to transform the private sector in order to have tangible industrial policies. These policies according to him should be able to make Nnewi a hub of engineering and manufacturing in Anambra State, and Aba the textile leader of Africa. 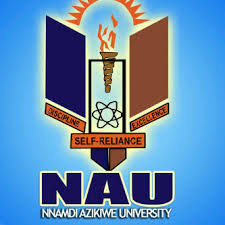 The Director, UNIZIK Business School Professor Au. Nonyelu in his address of welcome, reiterated the commitment of the school to become the management of excellence as well as become more relevant to act in usual ways as they explore new theoretical models, strategies and solutions to transform businesses and to sustain them. The keynote speaker, Professor Kenneth Amaeshi of the University of Edinburgh, UK, while speaking on “Conceptualizing Entrepreneurship and Industrialization” highlighted the three types and motivations of entrepreneurs which include the survivalists, success -driven and society aligned entrepreneurs. Professor Amaeshi advocated that businesses should pay attention to impact and the roles they play in the economy. He posited that Businesses should align with government to make industrialization to work. Presenting the lead paper, “Achieving Profits and Social Good through Corporate Social Responsibility”, Professor Emmanuel Adegbite from De Montfort University, UK, maintained that most social entrepreneurs are motivated by the social impact their work generates with the need of income to survive. The School honoured top business giants at the event as exemplary pacesetters in the industrialization drive of Africa. Those honoured include; Chief Innocent Chukwuma of Innosons Group, Chief Executive Officer of Dozzy Oil, Dr. Daniel Chukwudozie, Dr. Emeka Okwuosa of Oilserv and the CEO Juhel Pharmaceuticals, Dr. Ifeanyi Okoye. While Chief Chukwuma was honoured with Industrial Service Award, Dr. Chukwudozie was honoured with Philanthropic Excellence Service Award. The Duo of Dr. Okwuosa and Dr. Okoye were honoured with; Entrepreneur par Excellence Award and Health Service Excellence Award, respectively.